Two Costa Rican families – the Aizenmans and the Durman Esquivels – are among Central America’s most economically and politically powerful business groups, according to a recent story in Forbes México. The magazine on Aug. 5 named the 10 most influential families in Central America, based on the number of businesses in the region and the families’ economic clout. Among the top 10 are the Aizenmans, led by Jacobo Aizenman and his siblings, who distribute 11 automobile brands through Danissa, Veinsa and Quality Motors; and the Durman Esquivels, led by Francis Durman Esquivel, president of Aliaxis Latinoamérica and Grupo Montecristo. Other families making Forbes’ top 10 include: the Gutiérrez Bosch family from Guatemala, with Corporación Multi-Inversiones (think Pollo Campero); the Poma family from El Salvador, with Grupo Poma (think Grupo Roble);the Castillo family from Guatemala, with Corporación Castillo Hermanos (think Gallo beer); the Rosenthal family of Honduras, with Grupo Continental; the Vallarino family of Panama, with Grupo Verdeazul; the Coen family of Nicaragua, with Grupo Coen; the Simán family of El Salvador, with Grupo Alsicorp; and, of course, the Pellas family from Nicaragua, with Grupo Pellas (think everything). 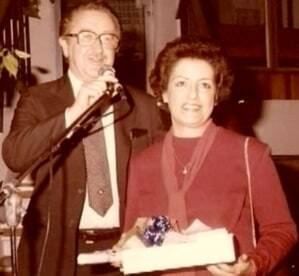 In Costa Rica, the Aizenman family legacy began with Jacobo Aizenman’s father, don Ignacio Aizenman, a fabric salesman. In 1960, Japanese auto firm Datsun offered don Ignacio the job of representing the company in Costa Rica, and he opened the first Datsun Agency in front of Banco Central in San José. His children are the second generation of leaders in the family-run business group, according to a June 2012 publication by Grupo Danissa. The family has had to adapt to generational changes and different economic realities over the years, and they opted to separate their companies with the breakup of Corporación D, according to a May 2013 story by Capital Financiero magazine. Samuel and Jacobo Aizenman now control Grupo Danissa, distributor of Nissan and Audi automobiles, and leasing agent for Avis. Salomón Aizenman manages Grupo Veinsa, which distributes Mitsubishi, Geely, JMC, Fuso, Brilliance, Citroën and Ssang Yong. Israel Aizenman represents Kia and Mazda in the country through Quality Motors. In the Durman family, Francis Durman Esquivel has led company operations since 1983. Arthur Durman Carranza founded Durman Esquivel in 1959 in San José. The company started by importing tubing and PVC accessories. Later, operations were consolidated into Grupo Montecristo. In 2007, Grupo Montecristo aligned with the powerful Belgian multinational construction and tubing company Aliaxis, acquiring 49 percent of shares in a new financial conglomerate Aliaxis Latinoamérica. Grupo Montecristo has investments in other sectors, as well. 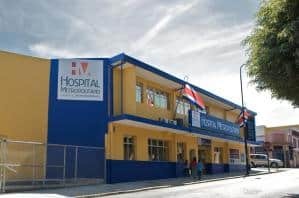 In Costa Rica, the group is majority shareholder of San José’s Hospital Metropolitano, and it controls free zones Propark, in El Coyol de Alajuela, and Parque Empresarial del Este, in Calle Blancos de Tibás. Its new companies include Manga Rica, a mango export business, and Max Central. Francis Durman Esquivel also is on Forbes México’s list of the 12 most important millionaires in Central America, published last May, along with: Ramón Mendiola, director of Florida Ice & Farm (third); Stanley Motta and family, president of Motta Internacional in Panama (first); Dionisio Gutiérrez and family, co-president of Corporación Multi-Inversiones in Guatemala (second); Miguel Facussé Barjum, president of Corporación Dinant in Honduras; Roberto Kriete, president of TACA and Grupo Kriete in El Salvador; Mario López Estrada, president of Telefónica Tigo Guatemala; Carlos Enrique Mata Castillo, president of The Central American Bottling Corporation (Cabcorp) in Guatemala; Ricardo Poma, president of Grupo Poma in El Salvador; Jaime Rosenthal Oliva, president of Grupo Continental in Honduras; José Miguel Torrebiarte Novella, CEO of Cementos Progreso in Guatemala; and Mohamad Yusuf Amdani Bai, president of Grupo Karims in Honduras. Since the list was published, Bloomberg News reported that Mario López Estrada is now Guatemala’s first billionaire. Read that story here.